Tampa Bay Contracting Co is a Residential & Commercial construction company based in Apollo Beach, Florida. We specialize in Kitchen and Bathrooms but also offer New Construction Services, Alterations, and Carpentry. Steven T. Anthony a Florida State Certified Building Contractor (CBC 1262377) founded the company in August of 1997. Your trustworthy Kitchen, Bath, & Cabinetry specialist. Heritage On The Gulf gives you more of everything. More options, more value and more assistance! Serving Sarasota, Charlotte, and Manatee Counties. 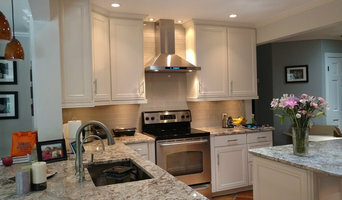 KitchenRite, LLC, Nick Formica and his crews of highly experienced professionals have remodeled kitchens and baths in Sarasota County and Manatee County Florida for more than 20 years. 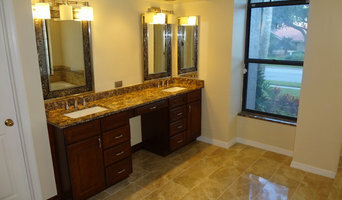 KitchenRite is a Florida State Certified and Licensed Remodeling Contractor. My family and I have been in the home improvement business in Sarasota and Manatee counties since moving to Florida in 1988. We have also owned and operated The Countertop Shop for 12 years. Collectively, we have served more than 2,500 homeowner customers. 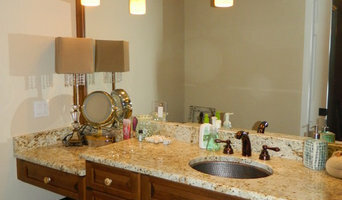 We do all phases of home remodeling from installing a new vanity to building your own new custom home. FDO Home Services focuses on offering the utmost customer service and experience when handling any and all remodeling projects. From your kitchen to your bathroom and everything in between, FDO takes your dream and turns it into an every day reality! We are plumbing contractors, engaging in all aspects of the remodeling & renovation process. We provide and install more that just pretty fixtures; from design to finish we perform demolition requirements, mechanical systems relocation & replacement, piping, gas work, alternative energy systems, custom cabinetry, custom glass enclosures and turn-key, beautiful living spaces. 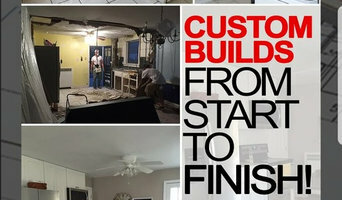 Green Innovation Construction is a Professional Service Company that specializes in Residential and Commercial Renovations. We are specialist in Kitchen & Bathroom Remodeling, Repairs and Maintenance. Regardless of your problem, ” We are at your service.” Green Innovation Construction, services include all phases of Residential and Commercial design, remodel and construction. From Property Management, to Handy- Man services, to the construction of your new custom home. We have experienced professionals to get the job done, on time and on budget.Green Innovation Construction has over 20 years of experience. Making your vision come true, this is what we do! *Authorized Mid-Continent Cabinetry Dealer* Custom Kitchen, Baths, & Beyond serves both commercial and residential clientele. An updated home can be a work of beauty, and the biggest focal points of any home are the kitchen and bathroom. We understand the importance of our clients' dreams and desires, and bring them to life through our design and construction experience. Come stop by our two showrooms in Largo, FL to see hundreds of our products in person, or you can browse our website to view our full collection! Our talented and experienced staff is always available to answer your questions, and our designers will help you create a home space that best suits your lifestyle. In business for 5+ years, we can help you with simple to complex remodels, redos, & repairs. 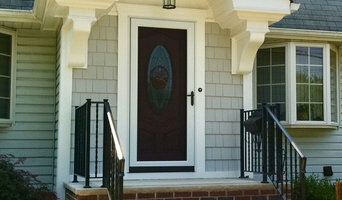 We get to know our customers and their home maintenance needs. We will work with our customers to create their own personalized plan for reaching their goals on a budget they feel comfortable with. We are serving others, Gracefully and Gratefully. With over 20 yrs of customer service experience and knowledge of a wide range of handyman & home repair skills. We are confident we can offer a plan that provides our customers satisfaction.